At Surpreyes Optometry we love fitting contact lenses! And because we’re a little office, our Target host gives free coffee (up to $5) at its in-house Starbucks when you get your contact lens exam. Of course, not all of these are right for everyone. We’ll make sure you’re matched to the contacts that meet your needs! Surpreyes Optometry is proud to partner with Heaton Eye Associates for LASIK. 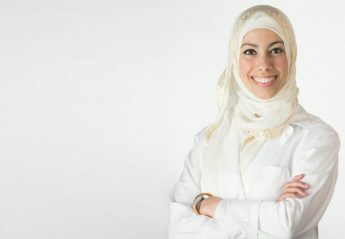 If you’re interested in LASIK be sure to mention it during your exam with Dr. Fatima Elkabti and, if you don’t have any contraindications, she’ll be happy to make the referral. If you have irregular corneas (ex. keratoconus), severe dry eye or a very high prescription, your vision may be best corrected with gas permeable or scleral lenses. These non-disposable contact lenses often provide good vision where soft contact lenses cannot. If you’ve failed your driving test and have been advised that you need an optometric evaluation, we are here for you. Just be sure to mention it, and we’ll have it filled out for you with our recommendations by the end of your exam. You’re welcome to fill out and bring this form to your exam. Did you know that there’s an FDA approved drug for lengthening, thickening and increasing the number of your eyelashes? It’s called Latisse, and we offer consultations to prescribe it. Just be sure to mention Latisse when you make your appointment. At Surpreyes Optometry we offer dilation as needed and upon request. Dilated eye exams are the most thorough as they enable the doctor to see to the far peripheral retina. Diabetics are encouraged to have an annual dilated eye exam, and if you’ve heard from your doctor that you have cataracts, birthmarks, or other anomalies in your eyes, dilation may be indicated. It takes about 2-4 hours for most of the dilation to wear off, so please plan accordingly. We are adjacent to a Target, so many of our patients who do not have a ride, opt to pass some time there while their dilation fades. At Surpreyes Optometry we perform eye exams for children aged 5 and up. Some children’s eyes require a prolonged (cycloplegic) dilation which takes up to 24 hours to resolve, but we can work with your family to find a time that’s right for that dilation. We love seeing the little ones and helping them to see.